There are many coupon sites available in the market right now and many more such sites are added to the market almost daily. With so many options, the consumers would be spoiled for choice...don't u think so? No..that is not the case. Though there are many coupon and deal sites, the number of genuine and reliable coupon sites are so few that they can be counted on the tip of your fingers. I..am very skeptical about such sites and whenever I am approached to review them on my blog, I usually refrain from writing about them. But then there are a few sites who come across as genuine, and you just want to go ahead and give them their due credit. 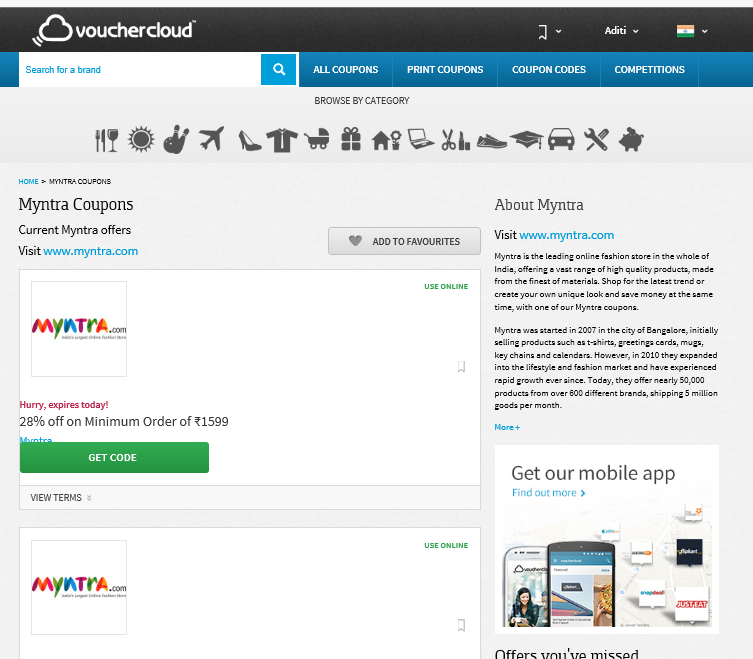 VoucherCloud is one such coupon site. 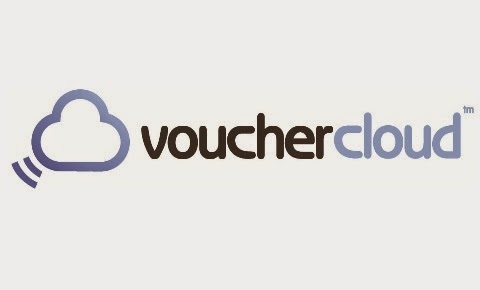 All you have to do is, sign up with Vouchercloud either via Email or Facebook and Vouchercloud makes sure it delivers you best deals available to you locally wherever you are. Discount coupons that you can use online or coupons that you can print and use in store. Vouchercloud contains deals from a gamut of categories like Men and Women fashion, Food and Drinks, Travel and Accommodation, Electronics, Health and Beauty just to name a few. Since I had the opportunity to review this, I decided I would try it first hand. 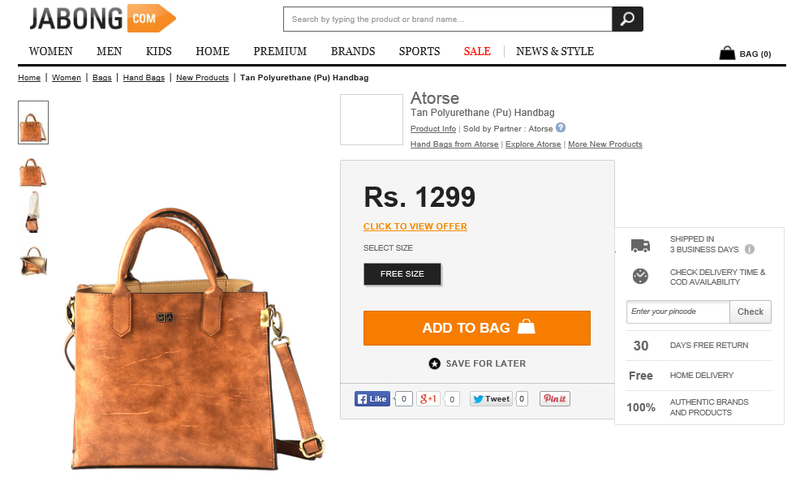 I had been eyeing a few hand bags on Jabong and Myntra, but wasn't taking the plunge because it was way beyond my budget. So I decided to first head over to search if Vouchercloud had any deals for these sites. 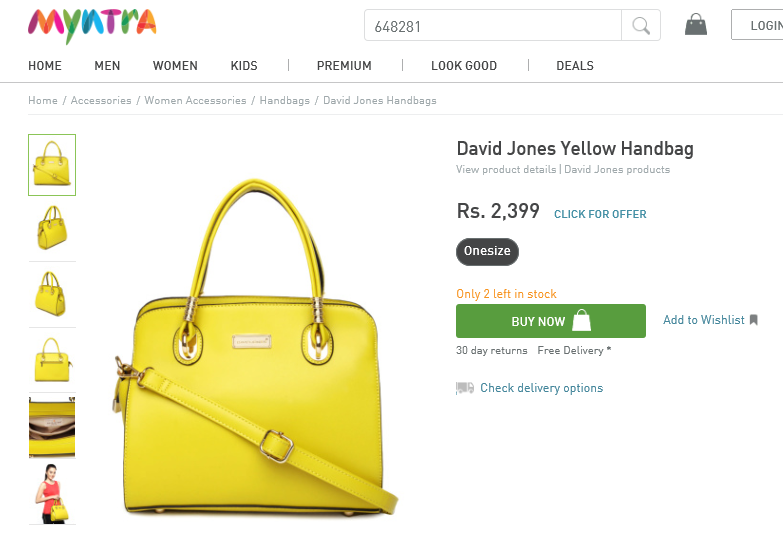 And I was pleasantly surprised as I saw quite a many interesting deals for Jabong and Myntra. and saved almost Rs.1000 in total on both the transactions. All in all, I really loved the experience that this site offered me. It is easy to navigate, has a clean design, proper categorization, has extensive categories and some amazing deals. If I have to mention one flip side, then it would be the lack of uniqueness of the deal. Not all deals are unique to VoucherCloud and you may find some deals that are available on other sites too. 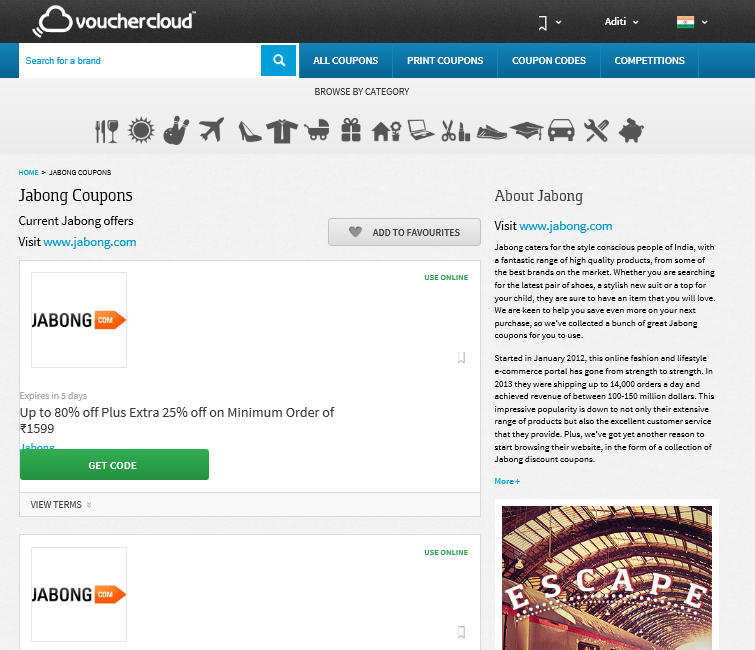 I would definitely recommend Vouchercloud as a site that you should refer to whenever you want to buy anything. You got some amazing bags! The yellow one is gorgeous! I know, they are in abundant, But I use these sites a lot . They come quite handy though. Both the bags look awesome! Looks like Vouchercloud helped you save a lot of cash! !